Electric driven turntable to switch from 1 to 5 tracks. Only for RC track. Angle between 2 tracks is corresponding with 1 curved track. 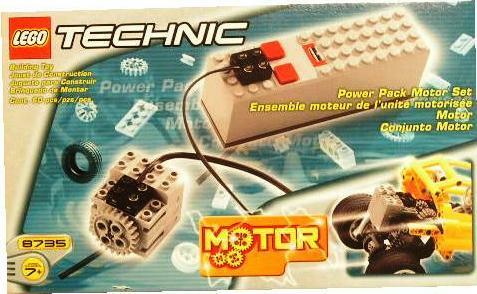 Lego Technic motor from set 8735 needed. Motor, electric wire and straight tracks not included. 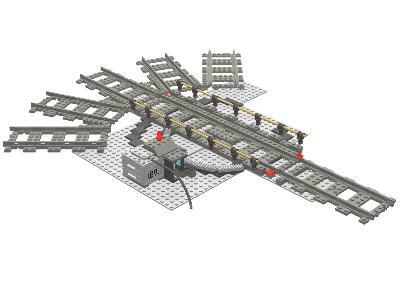 More information about new 8735 sets can be found at 'Technic/Pneumatic/Hoses'.